That ancient proverb relates to virtually everything in today’s world “you can’t make an omelet without breaking eggs”. Hungry ? let’s dance. Breakfast is an important meal of the day because it kick-starts your metabolism, helping you burn calories throughout the day. It also gives you the energy you need to focus at work or school. Eggs really tie breakfast together. They are a very good source of inexpensive, high quality protein. 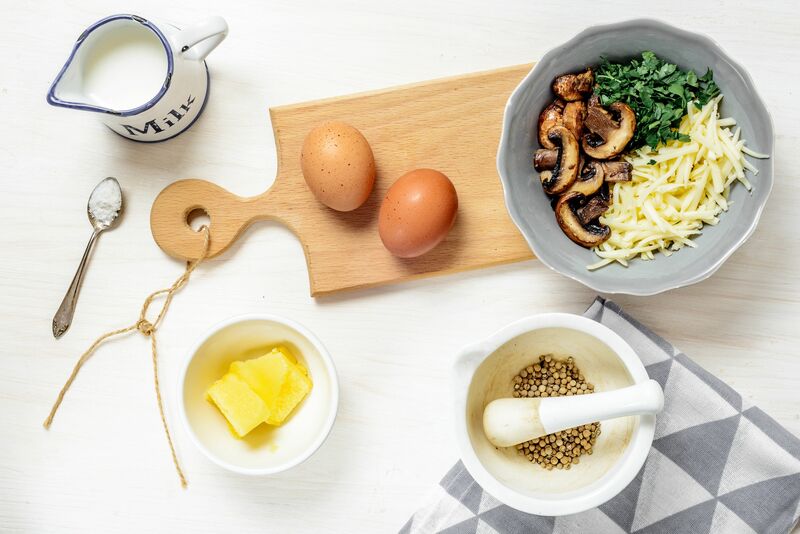 More than half the protein of an egg is found in the egg white along with Vitamin B2 and lower amounts of fat than the yolk. Eggs are rich sources of selenium, vitamin D, B6, B12 and minerals such as zinc, iron and copper. They are very easy to prepare and can be served in several forms, one of which is Omelet. 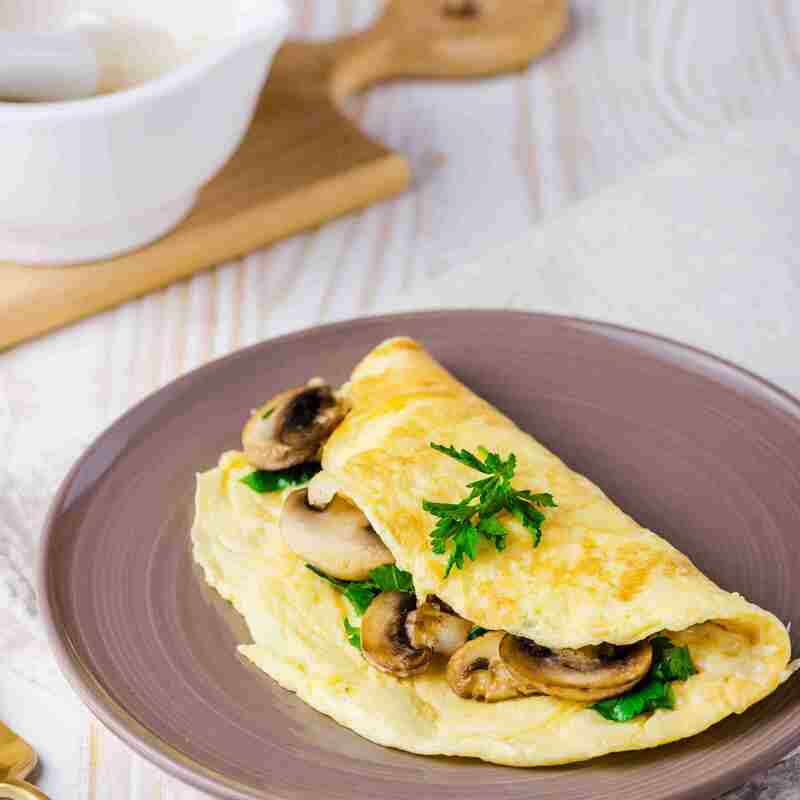 Some people are intimidated by omelets, but trust us: if you follow this recipe you will enjoy preparing more in the future as it can be served with bread, fried yam/potatoes and even salad. You should always make an omelet in a round nonstick pan with slope sides. 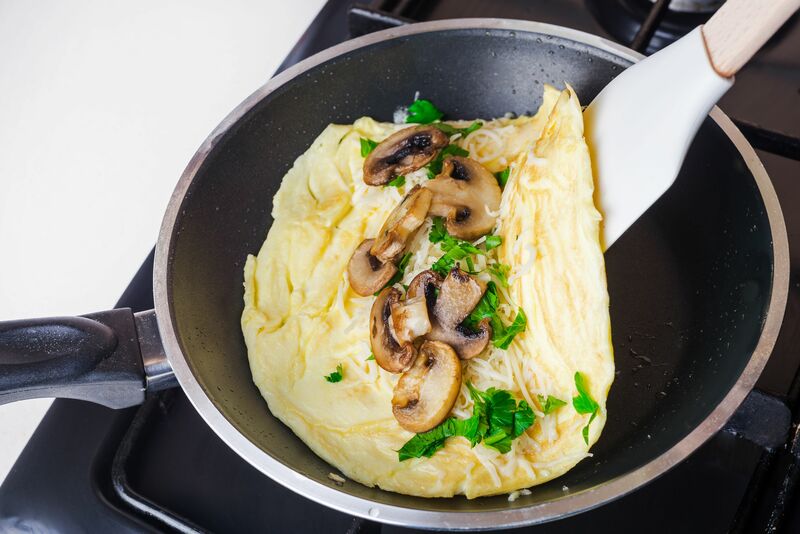 The best choice for a 2-egg omelet is an 8-inch pan, especially when you’re first learning. Do not try making a 3-egg omelet in a smaller pan. 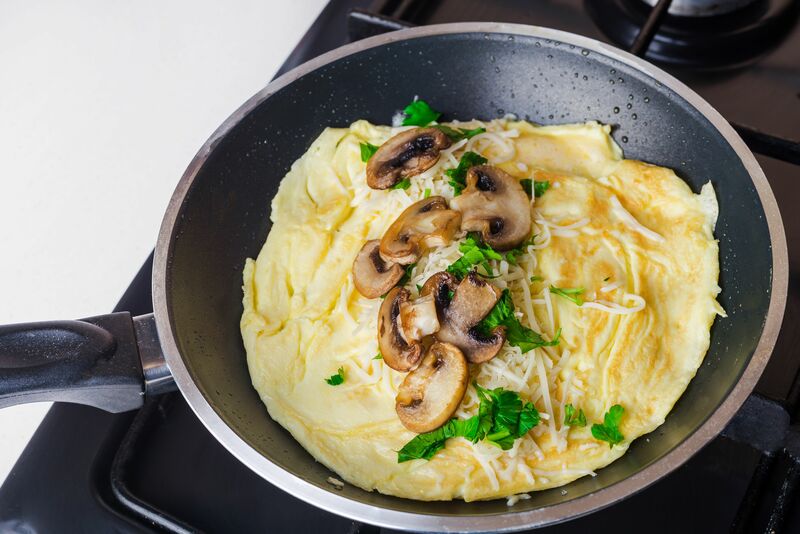 Once you’ve mastered the technique, you can move up to a 3-egg omelet, but you’ll want to use a 10-inch pan for that. Also, you should always use a heat-resistant spatula, so that it doesn’t melt and so that you don’t scratch your nonstick pan. 2. Crack the eggs into a glass mixing bowl and beat them until they turn a pale yellow color. 3. Heat a heavy-bottomed nonstick sauté pan over medium-low heat. Add the butter and let it melt. 4. Add the milk to the eggs and season to taste with salt and white pepper. 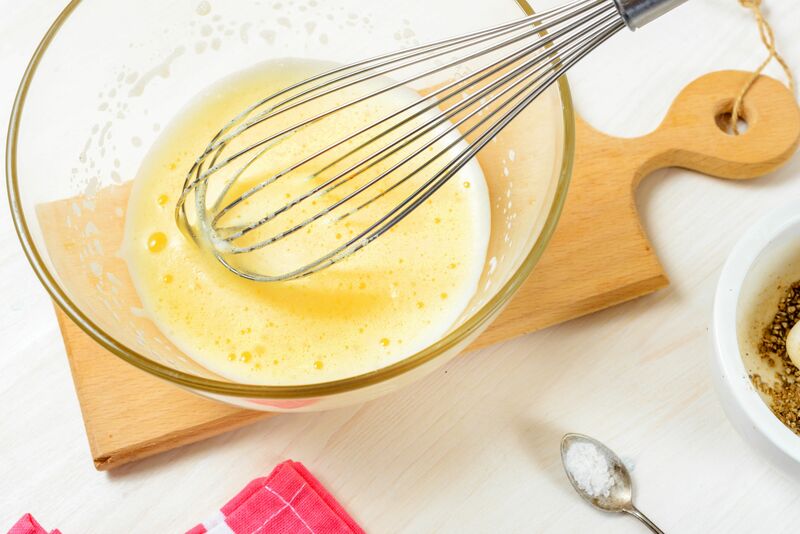 Then, grab your whisk and whisk like crazy. You’re going to want to work up a sweat here. If you’re not up for that, you can use an electric beater or stand mixer with the whisk attachment. Whatever device you use, you’re trying to beat as much air as possible into the eggs. 5. 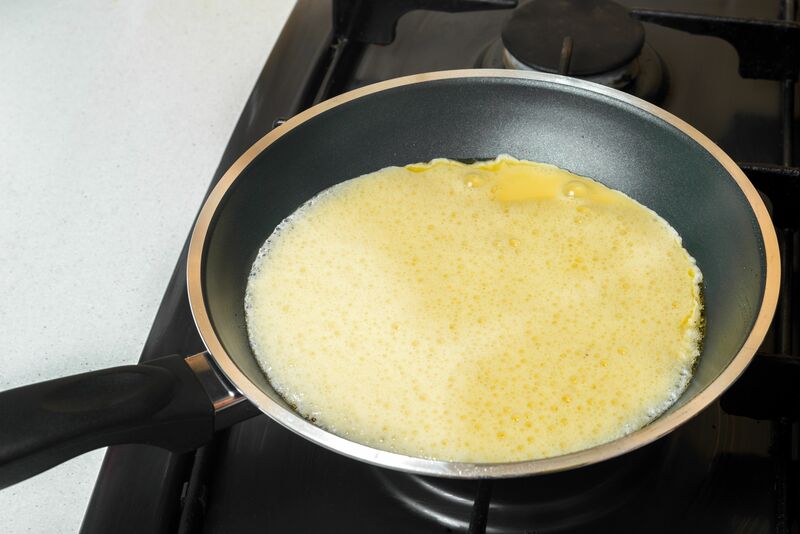 When the butter in the pan is hot enough to make a drop of water hiss, pour in the eggs. Don’t stir! Let the eggs cook for up to a minute or until the bottom starts to set. 6. 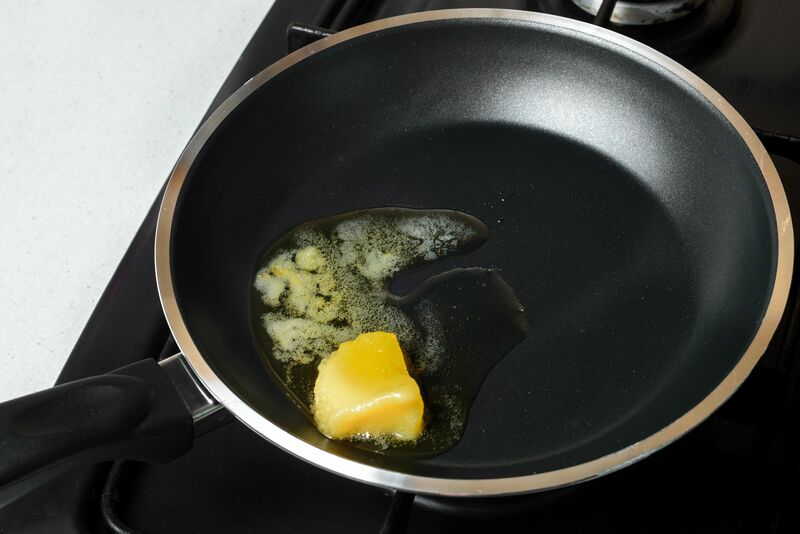 With a heat-resistant rubber spatula, gently push one edge of the egg into the center of the pan, while tilting the pan to allow the still liquid egg to flow in underneath. Repeat with the other edges, until there’s no liquid left. 7. 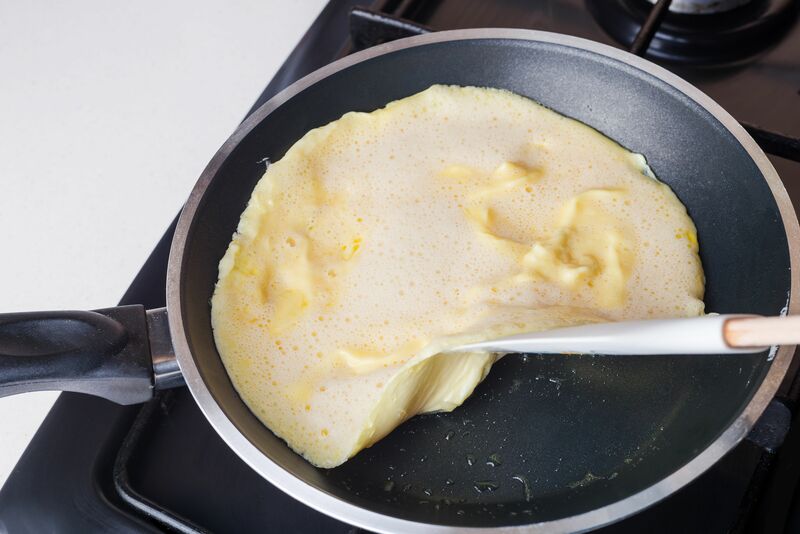 Your eggs should now resemble a bright yellow pancake, which should easily slide around on the nonstick surface. If it sticks at all, loosen it with your spatula. 8. 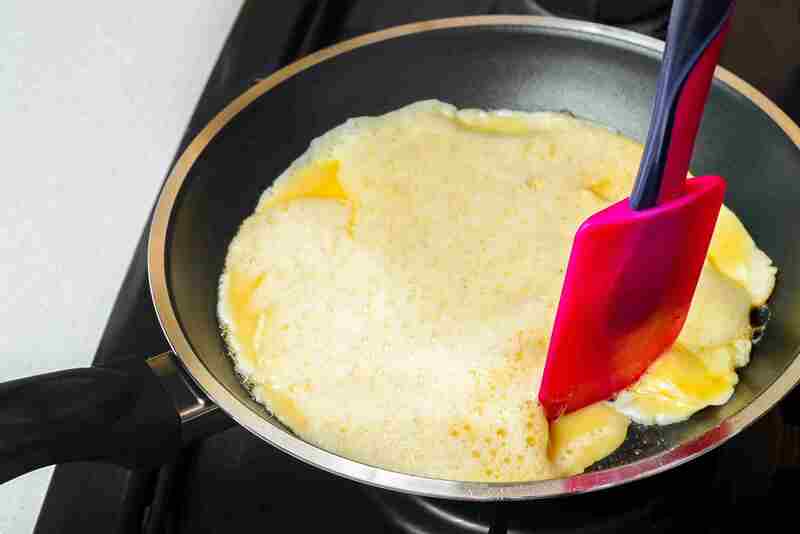 Now gently flip the egg pancake over, using your spatula to ease it over if necessary. Cook for another few seconds, or until there is no uncooked egg left. 9. If you’re adding any other ingredients, now’s the time to do it (see below.) Spoon your filling across the center of the egg in straight line. 10. 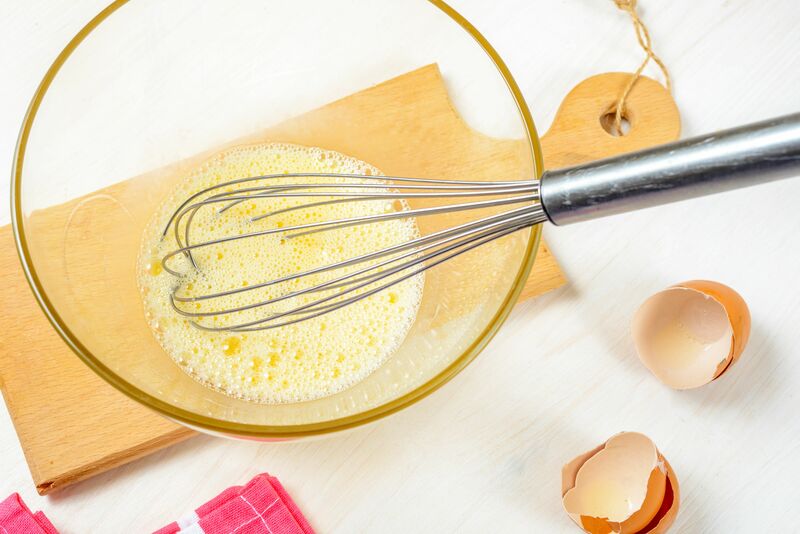 With your spatula, lift one edge of the egg and fold it across and over, so that the edges line up. Cook for another minute or so, but don’t overcook or allow the egg to turn brown. If necessary, you can flip the entire omelet over to cook the top for 30 seconds or so. Just don’t let it get brown. 11. 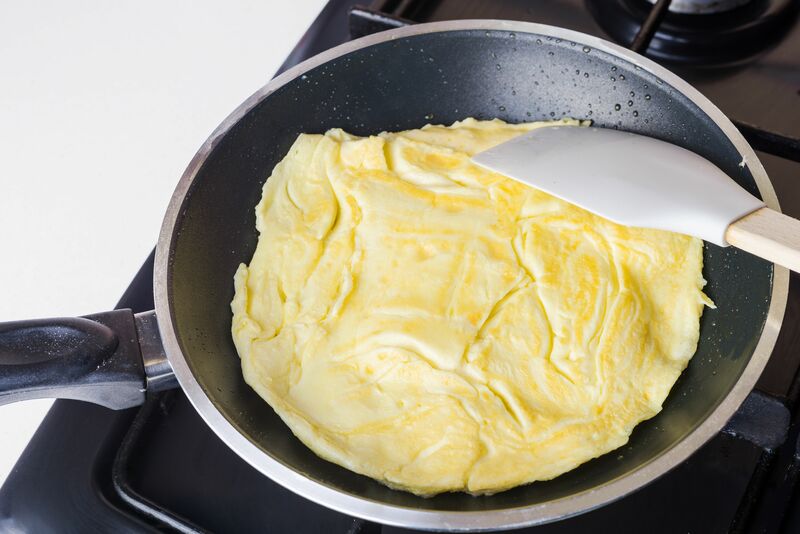 Gently transfer the finished omelet to a plate. Garnish with chopped fresh herbs if desired.